The expression of Bell is robust, the form is simple. 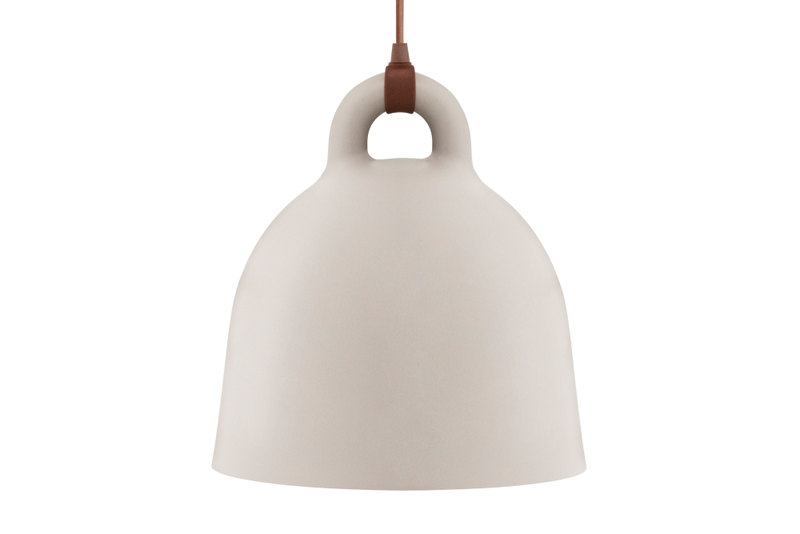 Bell is a pendant lamp in an iconic bell shape where special attention has been paid to its details. Its round, even surface gives the lamp the impression of having been cast. 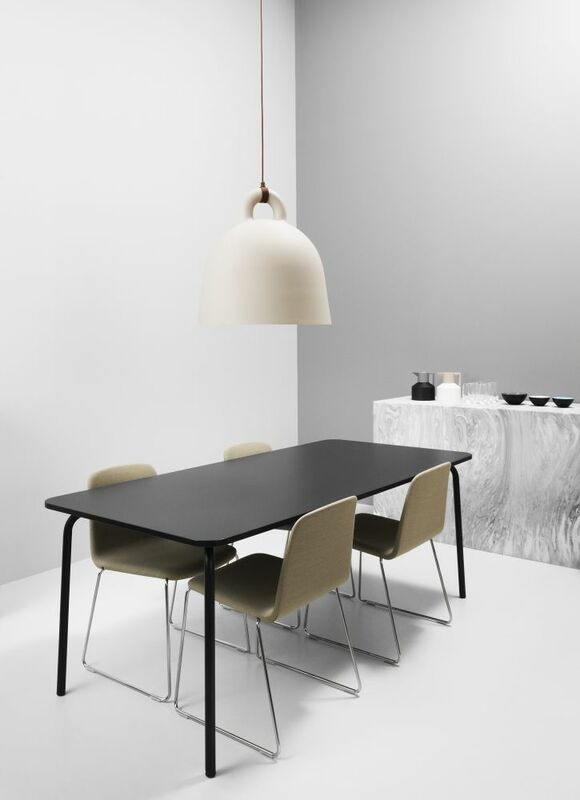 Rather than being hidden, the gathering of the cord and the lamp is accentuated in a contemporary and original way. Bell comes in four sizes and two color combinations. 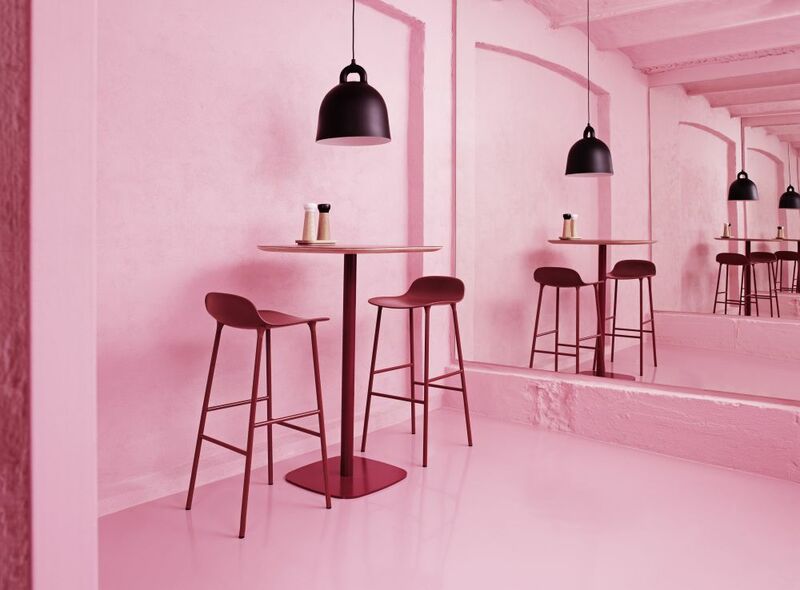 The shape of the lamp fits beautifully in the kitchen, living room, bedroom, hallway and office environment. With its industrial, yet friendly look Bell is well-suited for both home decor and professional environments. Hang a few Bell lamps in the kitchen, place the smallest Bell on each side of the bed as a pair of bedside lamps or use one of the larger Bell Lamps above the dining table to set just the right lighting atmosphere.